How To Choose Best Investment Plans/ Option As Per The Need? How To Choose Best Investment Plans/ Option? I will try to explain how these things will affect your investment strategy by explaining all. You can decide what kind of risk and what kind of investment plans suits you. If you are below 30 years of age, you can take the high risk as your goals will have a longer time frame to achieve the said goals like Children Education, Marriage. In these cases, you can invest more in equities than low yielding bond schemes. 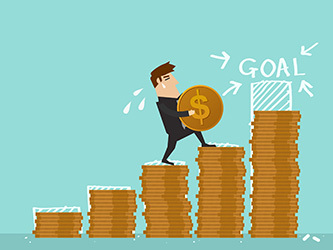 If your age is around 45, you can’t take high-risk investments as your goals are very near. It is not advisable to invest your corpus in stocks when your investment horizon is less than 3 years. Invested in Bank Recurring Deposit. @ 8% Interest Rate, He could have Rs.40,33,505 of Maturity Amount. Whereas Mr Kumar got a job at the age of 30. Both are working in the same firm. Now they want to start investing for their goals like Children Education, Children Marriage, Buying a House, Buying a Car. Arun & Kumar cannot choose same investment plans. Arun has a corpus of Rs.40 Lakh whereas Kumar doesn’t have a penny. Arun can right away start investing in stocks by studying the fundamentals of the company on his own or he can choose to take the help stock advisory services by paying the subscription fee and invest his corpus amount of Rs.40 Lakhs in 10 to 20 companies. This one investment plan can achieve his Children Education & Marriage goals. Whereas, Kumar should start building his corpus by investing his monthly income in Systematic Investment Plan (SIP) by selecting few mutual funds by knowing the details of the fund historical returns, the fund manager and the investment mantra of the fund. Kumar has to invest more than Arun to achieve his goals by saving more. Arun can Buy a House and Buy a Car by taking a loan from the bank with the monthly surplus. He can fulfil his Dream of owning a House and a car. Whereas, Kumar cannot Buy a House and Car because he has to invest for his primary goals first. He has to adjust to a rented house and public transport. Of course, If Kumar monthly surplus amount is really high which can be adjusted to SIP payment and Bank EMI, He can go for both options. If you are in Kumar’s position, you should first calculate the amount of money you need for each goal and amount of monthly surplus. First, you should plan for Primary goals. 5. Time Frame: – Each goal has a different time frame. Measure the time frame, measure the expected rate of return of asset class you have chosen, measure the monthly surplus available, measure required amount needed for each goal, then take a decision on which Investment Plan suits your needs. Among the 10 Best Investment Plans and their sub plans, you can choose the best plan according to your need. I will explain the need and the fund you can opt for. You need to choose Investment Plans as per the need. There are usually 5 kinds of needs.